This is the first article in a series focusing on and recognizing the 'Dirty Jobs' done by Airmen of the 374th Civil Engineer Squadron. The role of entomology Airmen is far reaching. 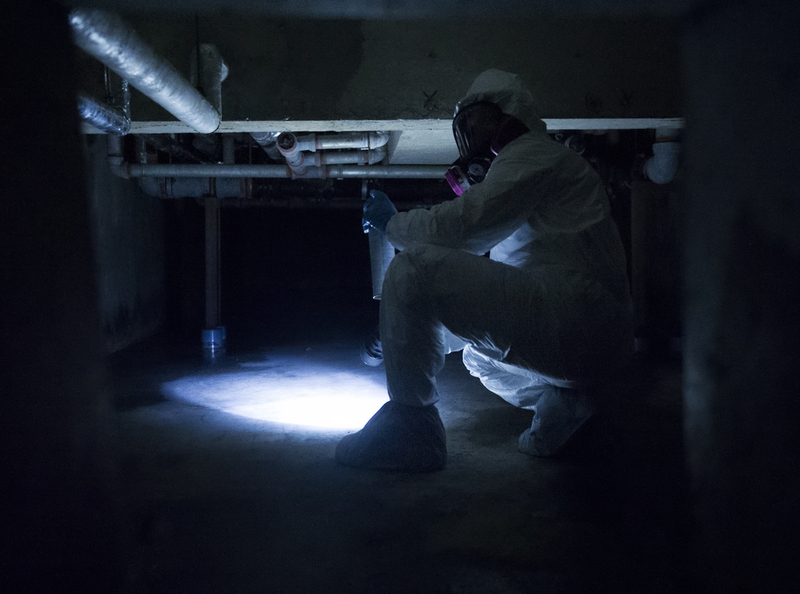 From performing disease vector surveillance to providing base wide pest control services for insects and wildlife, these Airmen utilize both preventative and immediate response maintenance practices to ensure that facilities remain pest free. Entomology's preventive maintenance program includes the monitoring of the 24 food facilities on base, including the Yokota Community Center, Enlisted Club and Officers Club. "We ensure that food facilities are pest free environments," said Staff Sgt. Brandon Cenarrusa, 374th Civil Engineer Squadron pest management craftsman. "We also help assist public health with sanitation of any potential issues at the facilities to mitigate potential human health diseases and hazards." Entomology Airmen employ many different eradication methods when approaching the variety of pests they encounter, including pesticides and baiting, although, identifying and repairing any infrastructure imperfections that may lead to pest, is the most effective. "By sealing cracks and crevasses, fixing door jams and removing areas where insects can get in and out of facilities, we can eliminate problems before they occur," Cenarrusa said. Ensuring that all facilities practice effective sanitation procedures is another valuable method they use to prevent pests. 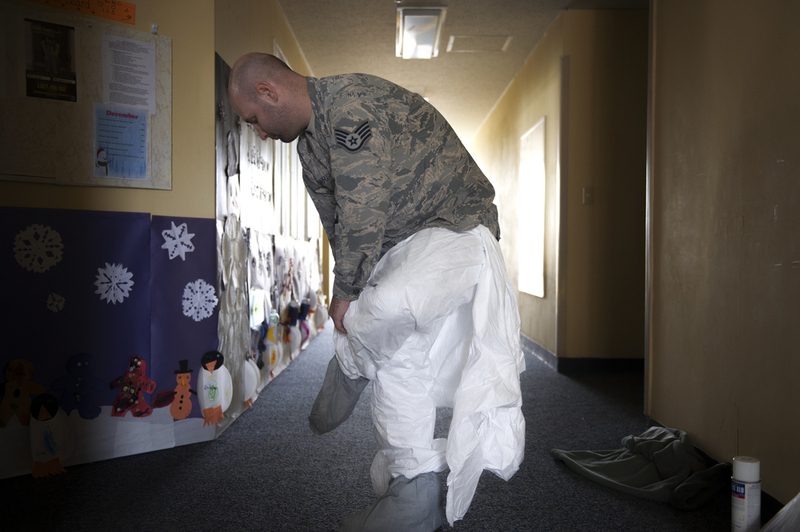 "Throughout our inspections, we provide recommendations to facility managers and individuals around the base to resolve any problematic areas that were the result of improper sanitation practices," said Staff Sgt. Joel Mendoza, 374 CES pest management craftsman. "Insects require food, warmth and water to thrive. If we can eliminate those sources in unwanted areas, we can reduce and suppress insects that are being attracted to that area." It is the responsibility of everyone on base to do their part in decreasing the presence of pests. By maintaining good housekeeping as well as ensuring windows and floors are sealed correctly, we can minimize the chance of unwanted visitors. In addition, they have the additional responsibility of assisting with the Bird Aircraft Strike Hazard program. "We have the responsibility of suppressing the presence of birds throughout the base," Cenarrussa said. "Because birds pose a potential threat to the safety of our aircrew and aircraft, we work alongside Wing Safety to ensure the threat is minimized." 374 CES entomologist also work to keep the airfield wildlife free by baiting and relocating animals such as weasels, ferel cats and dogs. "Yokota has its own unique challenges when it comes to pest eradication, but that's one of the reasons why I love my job," Cenarrusa said. "Every base you go to is unique - from the pest themselves to the climate and methods of control, there is always an opportunity to learn new things in the career field."